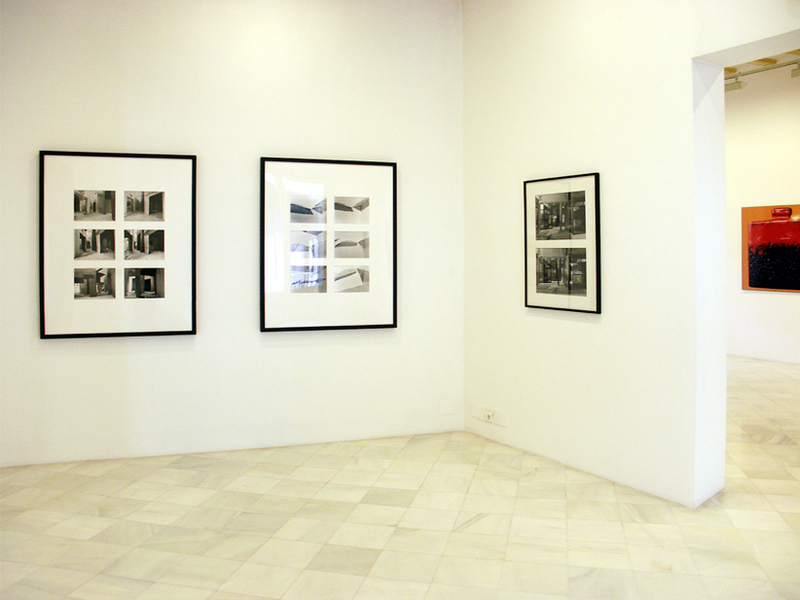 Miguel Marcos Gallery is pleased to present artistic Project of Pepe Cobo’s gallery. 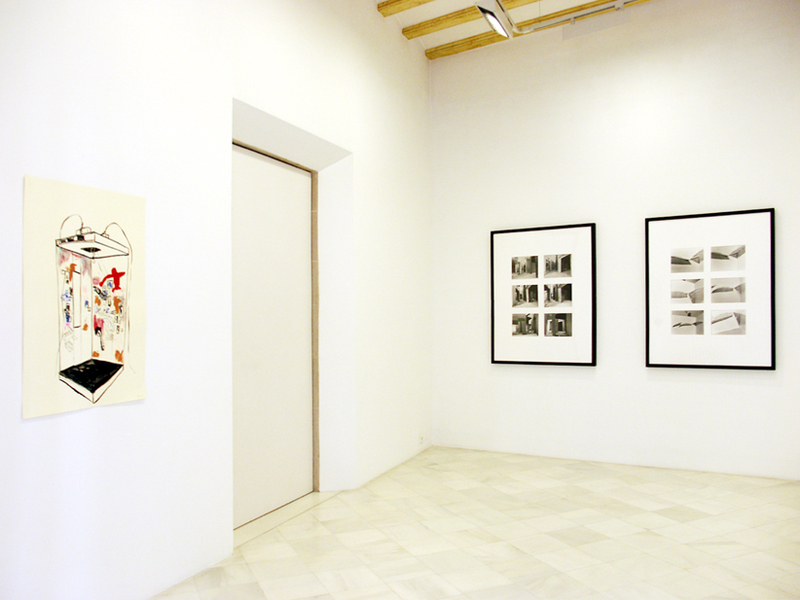 Usually the galleries collaborate in order to show their work to other spaces and places. This is thanks to good personal and professional relationship. Apparently it seems difficult gamble, but on the other hand, these kinds of actions allow the public to understand the true dimension of art dealer. For this occasion, we have selected seven artists of Pepe Cobo’s gallery, under the heading Geografías [Geographies] But why that title and not other? Why not geography in singular? In the same way that artistic traditions born after May 68, the geography changes. Political maps, new technologies continually alter the concept of “real time” and obviate the physical coordinates of the actors of communication the artists themselves have become nomadic soul and space. 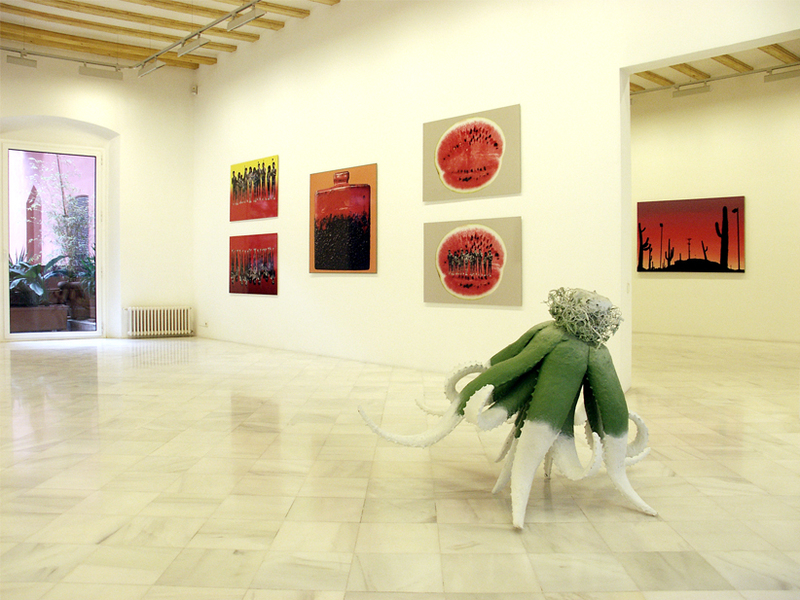 The same fact of Madrid Gallery being presented in Barcelona, and the artists showed come from not only from Spain, Europe or America, but they work in different cities of the world. These changing the new mapping of art, where the concept of national or regional school loses continuously sense. Geographies embody the mainstreaming of the arts and artists, of meanings and signifiers of identity and memory or individuals – collectives, splitting or even multiplying the perceptual phenomenon, perpetual deconstruction of reality, otherness as poetic as the deformed mirror question. 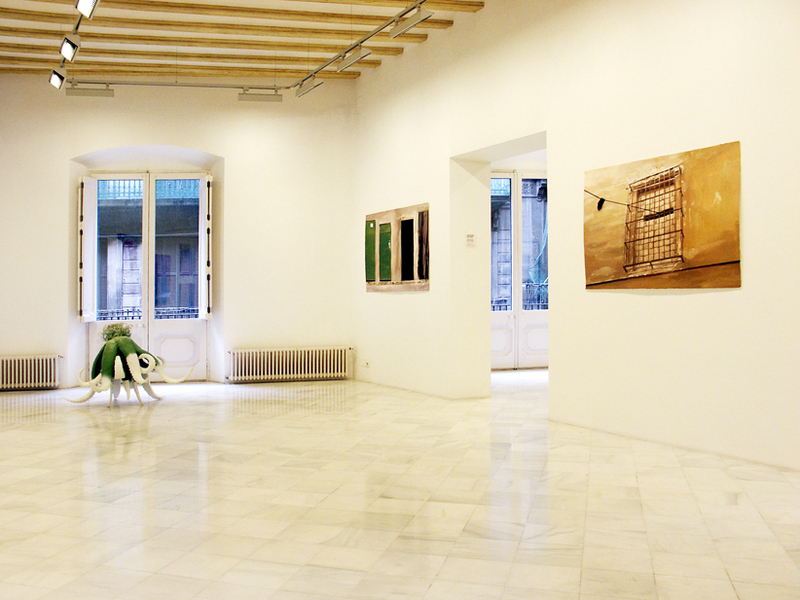 While we can map the physical geography of the galleries Pepe Cobo and Miguel Marcos, is naught without the coherence of a number of artists united by a collective project, and seven worlds in permanent dialogue with the viewer. FEDERICO GUZMÁN (Sevilla, Spain, 1964), lives and works in Sevilla. 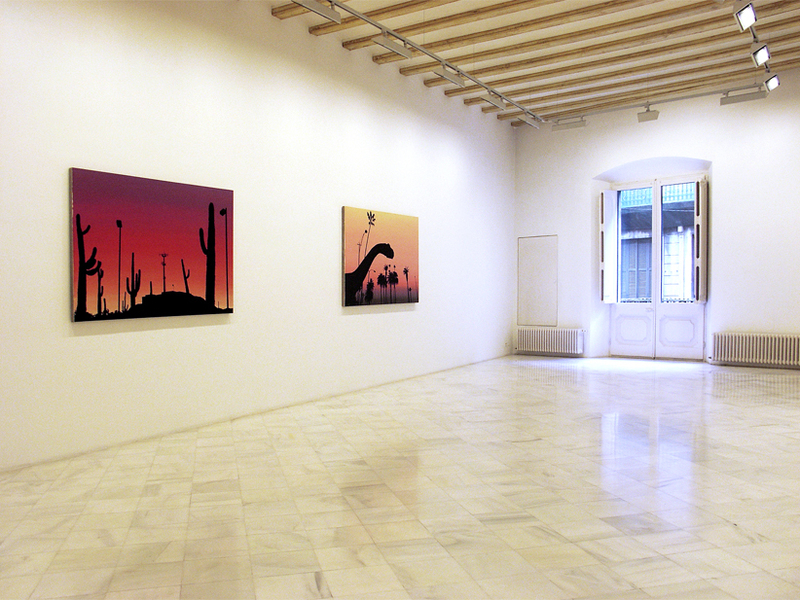 Guzman is member of artistic collective Cambalache, founded in 1997, although he develops his work in his own. He is interdisciplinary artist who works in different ways: painting, action and installations, and focuses his work on the nature. DIANGO HERNÁNDEZ (Sancti Spiritus, Cuba, 1970), both civil and political committed, Hernandez lives and works between Düsseldorf, Trento and in La Havana. 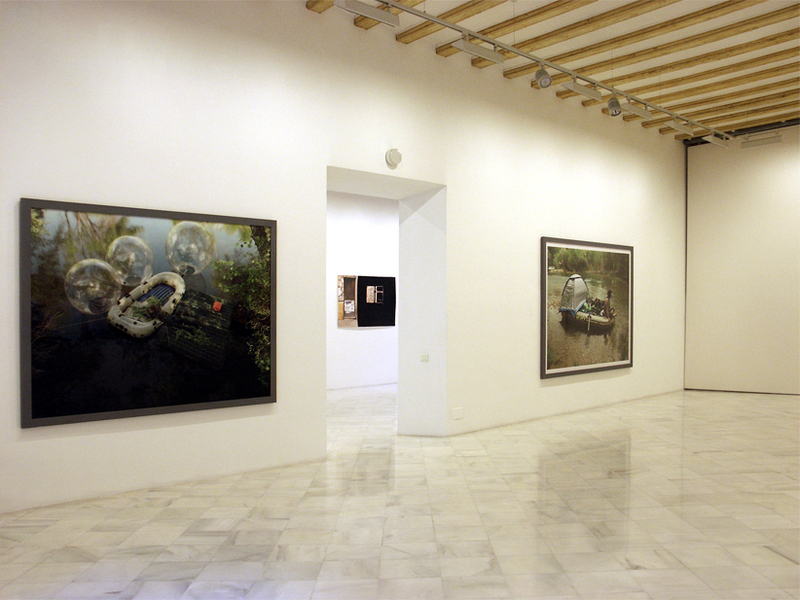 His work is based in present situation of Cuban country and also the recent history of global capitalism. CRISTINA IGLESIAS (San Sebastián, Spain, 1956) is one of Spanish artist more international. Has been working as teacher in Academy of Art of Munich. Iglesias has two sons with disappeared sculptor Juan Muñoz. Cristina Iglesias experiment with light, forms, spaces and different kind of materials. GONZALO PUCH (Sevilla, Spain, 1950) lives and works in Sevilla. After some years of experimentation with painting sculpture and installation, the work of Puch moved to photography. If in the first moment, he combines in his installations some kind of photographic materials, today his work is focuses in realization of photographies of big format, in which the awareness about the space is linked to fiction world. MP & MP ROSADO (San Fernando, Cádiz, Spain, 1971). Miguel Pablo y Manuel Pedro Rosado live and work in Sevilla. They are twins, who in their proposals using different media and materials as well as photography, painting and sculpture. Sometimes, they create installations with big scenography character. The thematic of their work is based in the identity. GLEN RUBSAMEN (Nueva York, 1959) does pictures that play with photographic simulation, using silhouettes such as photographic negatives, which do not reveal yet. His work is characterized by the interest of join different situations with some of romantic tradition. AUGUSTINA VON NAGEL (Austria, 1952) is a show of this artist whose works evocate other worlds, imaginary atmospheres which talks about other frontiers between reality and unreality, with a little irony.